Georgia Irina Baraknova is an appx 8 year old female hound mix who currently weighs about 70 lbs. Georgia is an amazing dog. We know she is older, but she has the energy of a four year old. Loves to go on walks and be active with her people. SHE IS AMAZING with children (babies included), other dogs, cats, and anything else you send her way. She is incredibly loving and loyal and eager to have a full-time human companion to do all her favorite things with....and her favorite things are whatever your favorite things are!!! She has great house manners and crate manners and rides beautifully in the car. Georgia is spayed, up to date on shots, current on preventatives, microchipped, and just had a dental. Her adoption fee is $185. All dogs adopted locally through SGDR receive a free six week session of obedience classes and a lifetime of behavior support through our Project REWARD program with trainer Charlotte Blake. You must have an approved application before being able to visit a dog. Visit our website below for an adoption application and answers to your most âFrequently Asked Questions" Question about adopting: http://snootygiggles.com/policies/ Application: http://snootygiggles.com/application/ If you expect to leave the dog alone for long periods of time, please do not consider adopting a puppy. Puppies need lots of attention and companionship. Thanks. All known information about the animal is listed above. We do our best to give accurate information, but most of our dogs are rescues and do not come with a known history. 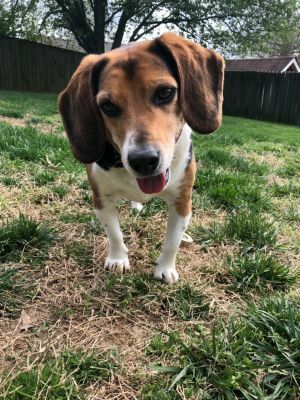 Elvis is an approximately 4-5 year old beagle that weighs 38 pounds. He does have a few pounds to shed so a family that enjoys walks and play time would benefit him. This boy is the perfect medium sized companion dog that is great with everyone. Elvis loves other dogs, is wonderful around kids and does great around cats as well. 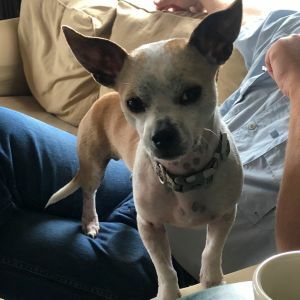 He is a very easy going dog that is fairly chill in the house but will play hard with other dogs before settling down for a good nap. Elivs really loves his humans as well and seeks out human affection. I guess we could consider him the perfect "lap dog." Elvis is up to date on shots and preventatives and is micro chipped. His adoption fee is $185 plus any additional donation you feel appropriate. Our adoption fee is set to a level to make adoptions happen. They do not cover our costs. Thank you for your generosity and interest in our dogs! All dogs adopted locally through SGDR receive a free six week session of obedience classes and a lifetime of behavior support through our Project REWARD program with trainer Charlotte Blake. You must have an approved application before being able to visit a dog. 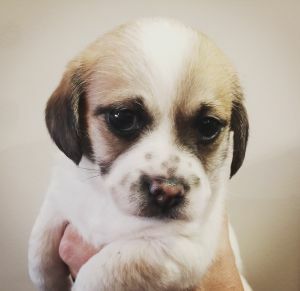 Visit our website below for an adoption application and answers to your most âFrequently Asked Questions" Question about adopting: http://snootygiggles.com/policies/ Application: http://snootygiggles.com/application/ If you expect to leave the dog alone for long periods of time, please do not consider adopting a puppy. Puppies need lots of attention and companionship. Thanks. All known information about the animal is listed above. We do our best to give accurate information, but most of our dogs are rescues and do not come with a known history. Jerbal Fabini is an appx 4 year old terrier mix of sorts who weighs around 14 lbs. This guy is the best guy ever.....like, ever ever. He loves to play fetch as much as you will throw it for him. He is great with kids and all other animals. He has lots of play energy, but isn't hyper. He has great house manners, crate manners, and leash manners. Check, check, check. Dude has it going on and could be a good match for just about any lifestyle!!!! We are currently getting his skin back in tip top shape after it had been neglected (allergies) for quite sometime. He is neutered, up to date on shots, current on preventatives, and microchipped. His adoption fee is $185. All dogs adopted locally through SGDR receive a free six week session of obedience classes and a lifetime of behavior support through our Project REWARD program with trainer Charlotte Blake. You must have an approved application before being able to visit a dog. Visit our website below for an adoption application and answers to your most âFrequently Asked Questions" Question about adopting: http://snootygiggles.com/policies/ Application: http://snootygiggles.com/application/ If you expect to leave the dog alone for long periods of time, please do not consider adopting a puppy. Puppies need lots of attention and companionship. Thanks. All known information about the animal is listed above. We do our best to give accurate information, but most of our dogs are rescues and do not come with a known history. Bartie is a 6.5 week old male Zhu, Scruffy Terrier, Chi mix who currently weighs about 3 lbs. Bartie is looking for a family that has the time and commitment to set up a puppy up for success with potty training, socialization, obedience and good ole puppy play! He is up to date on shots, current on preventatives, and microchipped. Due to his age and size he will be adopted with a spay/neuter contract. His adoption fee is $185. All dogs adopted locally through SGDR receive a free six week session of obedience classes and a lifetime of behavior support through our Project REWARD program with trainer Charlotte Blake. You must have an approved application before being able to visit a dog. Visit our website below for an adoption application and answers to your most âFrequently Asked Questions" Question about adopting: http://snootygiggles.com/policies/ Application: http://snootygiggles.com/application/ If you expect to leave the dog alone for long periods of time, please do not consider adopting a puppy. Puppies need lots of attention and companionship. Thanks. All known information about the animal is listed above. We do our best to give accurate information, but most of our dogs are rescues and do not come with a known history. 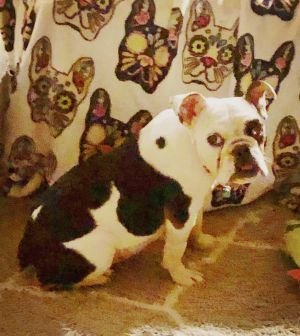 Cici is an appx 2 year old female English Bulldog who currently weighs about 35 lbs. Cici came to us drastically underweight, but after managing her food allergies she is looking great. Cici will always need to eat hypoallergenic food and will not be able to have treats or any human food so anyone wanting to adopt needs to be committed to that to avoid an intestinal relapse. She loves playing with other dogs and would do great with a companion who either already eats a prescription hypo diet (as so many bulldogs do!) or of course they can be fed separately to avoid any food sharing. Cici is spayed, up to date on shots, current on preventatives, and microchipped. Her adoption fee is $185. All dogs adopted locally through SGDR receive a free six week session of obedience classes and a lifetime of behavior support through our Project REWARD program with trainer Charlotte Blake. You must have an approved application before being able to visit a dog. Visit our website below for an adoption application and answers to your most âFrequently Asked Questions" Question about adopting: http://snootygiggles.com/policies/ Application: http://snootygiggles.com/application/ If you expect to leave the dog alone for long periods of time, please do not consider adopting a puppy. Puppies need lots of attention and companionship. Thanks. All known information about the animal is listed above. We do our best to give accurate information, but most of our dogs are rescues and do not come with a known history. Bombay is an appx 8-9 month old bully/cattle dog mix who currently weighs about 45 lbs. Bombay is an amazing young dog who recently attended a mental health convention where he served as a "stress reliever" as hundreds of people visited him in his booth each day to sit down and chill while petting him. He is such a good boy and we certainly do not want him to be overlooked. He has a very good base of obedience under him and is well mannered. He is house broken, crate trained, leash trained, and great with other dogs. Bombay is neutered, up to date on shots, current on prevention and microchipped. His adoption fee is $185. All dogs adopted locally through SGDR receive a free six week session of obedience classes and a lifetime of behavior support through our Project REWARD program with trainer Charlotte Blake. You must have an approved application before being able to visit a dog. Visit our website below for an adoption application and answers to your most âFrequently Asked Questions" Question about adopting: http://snootygiggles.com/policies/ Application: http://snootygiggles.com/application/ If you expect to leave the dog alone for long periods of time, please do not consider adopting a puppy. Puppies need lots of attention and companionship. Thanks. All known information about the animal is listed above. We do our best to give accurate information, but most of our dogs are rescues and do not come with a known history. Rheston Rhodes is a senior (appx 15) male Lhasa Apso mix who currently weighs about 18 lbs. Rheston found himself in a shelter after his original family "moved on". He certainly has some squeaky joints and recently lost the majority of his teeth during a two stage dental....but he still has life and love in him to give!!! He does well other dogs and cats and enjoys outdoor time. Rheston is neutered, up to date on shots, current on preventatives, and microchipped. Because of his senior status, his adoption fee is partially sponsored in our program and he can be adopted with a suggested donation of $50. All dogs adopted locally through SGDR receive a free six week session of obedience classes and a lifetime of behavior support through our Project REWARD program with trainer Charlotte Blake. You must have an approved application before being able to visit a dog. Visit our website below for an adoption application and answers to your most âFrequently Asked Questions" Question about adopting: http://snootygiggles.com/policies/ Application: http://snootygiggles.com/application/ If you expect to leave the dog alone for long periods of time, please do not consider adopting a puppy. Puppies need lots of attention and companionship. Thanks. All known information about the animal is listed above. We do our best to give accurate information, but most of our dogs are rescues and do not come with a known history. 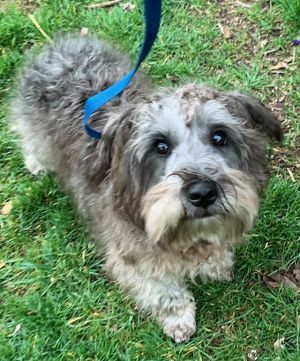 Marston is a male scruffy mix (supposedly Scottie, Maltese, Schnauzer) who currently weighs just under 20 lbs and is about 10 months old. Marston loves to get his play on with his canine buddies and does best with dogs who also like to play and are the same size or larger. He can be shy when he first meets new people, but he brightens up quickly and is ready to rock n roll!!! He would do best in a home with a confident leader dog. He has a fun and cuddly personality and is eager to be a family member. He is neutered, up to date on shots, current on preventatives, and microchipped. His adoption fee is $185. All dogs adopted locally through SGDR receive a free six week session of obedience classes and a lifetime of behavior support through our Project REWARD program with trainer Charlotte Blake. You must have an approved application before being able to visit a dog. Visit our website below for an adoption application and answers to your most âFrequently Asked Questions" Question about adopting: http://snootygiggles.com/policies/ Application: http://snootygiggles.com/application/ If you expect to leave the dog alone for long periods of time, please do not consider adopting a puppy. Puppies need lots of attention and companionship. Thanks. All known information about the animal is listed above. We do our best to give accurate information, but most of our dogs are rescues and do not come with a known history. 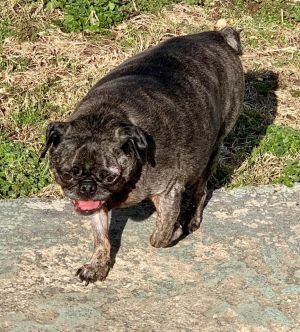 Aasha Ulyana is a senior female pug who is about 8 years old and currently weighs around 25 lbs. Aasha lost all of her teeth and has a whacky jaw so her tongue hangs out ALL OF THAT TIME....clearly it just adds to her character!!! Aasha is a typical sassy pants pug girl with all kinds of personality and pug love to give. She gets along well with other dogs and all humans. She is spayed, up to date on shots, current on preventatives, and microchipped. Because of her senior status, a portion of her adoption fee is sponsored through our program and she can be adopted for a suggested donation of $50. All dogs adopted locally through SGDR receive a free six week session of obedience classes and a lifetime of behavior support through our Project REWARD program with trainer Charlotte Blake. You must have an approved application before being able to visit a dog. Visit our website below for an adoption application and answers to your most âFrequently Asked Questions" Question about adopting: http://snootygiggles.com/policies/ Application: http://snootygiggles.com/application/ If you expect to leave the dog alone for long periods of time, please do not consider adopting a puppy. Puppies need lots of attention and companionship. Thanks. All known information about the animal is listed above. We do our best to give accurate information, but most of our dogs are rescues and do not come with a known history. Gingis Grumble is an appx 8 year old male pug who is currently overweight and working to lose about 7-8 lbs. He is looking for a companion who will continue this weight loss mission with him. He enjoys being outside and going for walks and like a typical pug, he gets along great with everyone. He is neutered, up to date on shots, current on preventatives, and microchipped. His adoption fee is $185. All dogs adopted locally through SGDR receive a free six week session of obedience classes and a lifetime of behavior support through our Project REWARD program with trainer Charlotte Blake. You must have an approved application before being able to visit a dog. Visit our website below for an adoption application and answers to your most âFrequently Asked Questions" Question about adopting: http://snootygiggles.com/policies/ Application: http://snootygiggles.com/application/ If you expect to leave the dog alone for long periods of time, please do not consider adopting a puppy. Puppies need lots of attention and companionship. Thanks. All known information about the animal is listed above. We do our best to give accurate information, but most of our dogs are rescues and do not come with a known history. 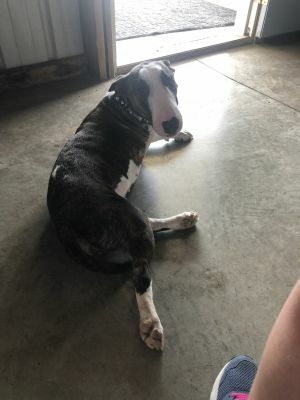 Woozie Jorkins is an appx 1 year old female Bull Terrier who currently weighs about 32 lbs. 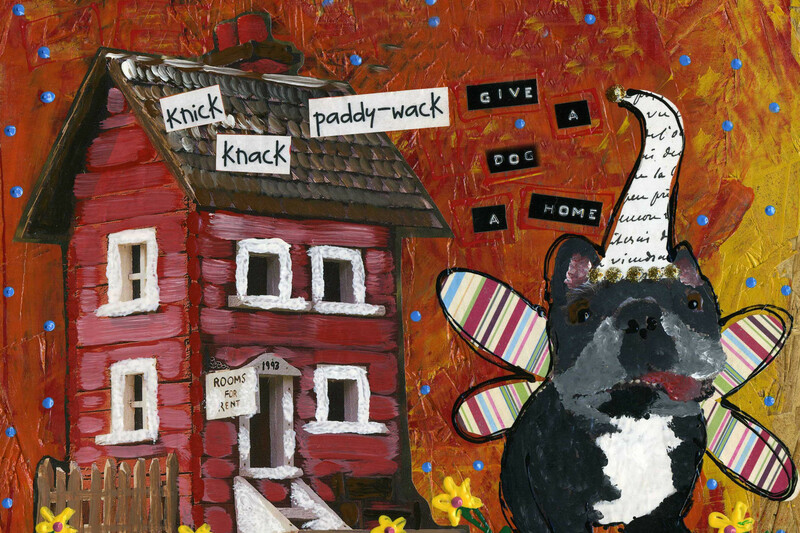 Woozie is quite the character with the typical Bull Terrier personality!!! She does not meet a stranger and likes a canine companion that can play as hard as she can play. Woozie is house broken, crate trained, leash trained, has basic obedience skills and is very well mannered. Woozie has radial nerve damage in her front right paw. This does not cause her pain, but does make it feel "asleep" so sometimes she uses it and sometimes she doesn't. Fear not!!!! It has never slowed her down!!! She is spayed, up to date on vaccines, current on prevention, and microchipped. Her adoption fee is $185. All dogs adopted locally through SGDR receive a free six week session of obedience classes and a lifetime of behavior support through our Project REWARD program with trainer Charlotte Blake. You must have an approved application before being able to visit a dog. 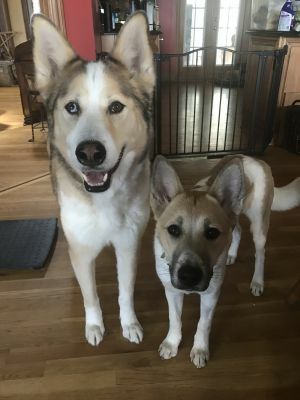 Visit our website below for an adoption application and answers to your most âFrequently Asked Questions" Question about adopting: http://snootygiggles.com/policies/ Application: http://snootygiggles.com/application/ If you expect to leave the dog alone for long periods of time, please do not consider adopting a puppy. Puppies need lots of attention and companionship. Thanks. All known information about the animal is listed above. We do our best to give accurate information, but most of our dogs are rescues and do not come with a known history. Ruthie Blue is an appx 2-3 year old female Pittie girl who is on the petite side only weighing around 45 lbs. Ruthie Blue has one of the biggest smiles that will ever greet you. She LOVES other dogs and playing with her toys. Though...girl needs some tough toys!!! Ruthie is a wonderful travel companion whether you are running errands or heading out on a great adventure as she loves to ride in a car. She does not understand personal space with her human so she is looking for a home where her new family members want her snuggled up as close to them as possible. She is also a huge kisser...so, if licks turn you off, click onward!! She is an active girl and needs her daily walks. 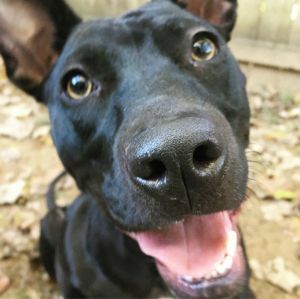 Ruthie has experienced some anxiety meeting strangers in the past, but has gained some much needed confidence and now does very well with proper introductions and quickly is eager to be your new friend. She enjoys training and would love to continue obedience work with her new peeps. She is spayed, up to date on shots, current on preventatives and microchipped. Her adoption fee is $185. *Because of her previous anxiety with meeting strangers, we will not be accepting applications with children in the home. This by no means Ruthie is an aggressive dog. 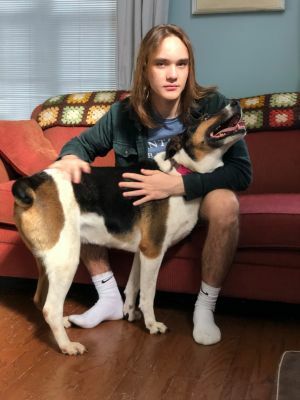 We do this with all of our dogs who have a history of fear with strangers, because homes with children tend to have lots of new people coming and going and we want to set everyone up for success and as little stress as possible. All dogs adopted locally through SGDR receive a free six week session of obedience classes and a lifetime of behavior support through our Project REWARD program with trainer Charlotte Blake. You must have an approved application before being able to visit a dog. Visit our website below for an adoption application and answers to your most âFrequently Asked Questions" Question about adopting: http://snootygiggles.com/policies/ Application: http://snootygiggles.com/application/ If you expect to leave the dog alone for long periods of time, please do not consider adopting a puppy. Puppies need lots of attention and companionship. Thanks. All known information about the animal is listed above. We do our best to give accurate information, but most of our dogs are rescues and do not come with a known history. Bricky is a young 1 year old female mix breed. She is all about the wiggles and hasnât met a stranger. She adores children and is working hard on keeping her feet on the ground when meeting all the little humans in the world. She is crate and house trained. Bricky does well in the House and has pretty great leash skills. She has been through a handful of group Obedience classes. She would love a fenced yard to romp in but itâs not a requirement. She is an active gal and needs a walk a day to keep her happy and content. Bricky has a handful of dog friends. Her play style is pretty rough and rowdy. Bricky is cat friendly and has been around a barn/livestock while on leash. Bricky was adopted as a young pup but unfortunately came back into rescue due to some resource guarding in her home with the other dogs. Particularly a small dog. We have not seen this behavior while she has been back in rescue. Due to this prior behavior we are adopting Bricky out as an only dog or with a male dog of her size or larger. She really loves to play and hang out with dogs and with some management she could happily live with an appropriate dog. Small dogs or other female dogs just arenât the right match for her. She has never guarded anything from a human, this was a dog specific behavior. If you think Bricky might be a good fit for your family and have questions about her prior to the application please email our trainers. ProjectRewardSGDR@gmail.com Bricky is up to date on shots and preventatives, spayed and is micro chipped. Her adoption fee is $185 plus any additional donation you feel appropriate. Our adoption fee is set to a level to make adoptions happen. They do not cover our costs. Thank you for your generosity and interest in our dogs! All dogs adopted locally through SGDR receive a free six week session of obedience classes and a lifetime of behavior support through our Project REWARD program with trainer Charlotte Blake. You must have an approved application before being able to visit a dog. 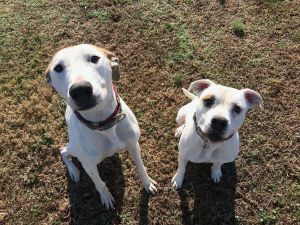 Visit our website below for an adoption application and answers to your most âFrequently Asked Questions" Question about adopting: http://snootygiggles.com/policies/ Application: http://snootygiggles.com/application/ All known information about the animal is listed above. We do our best to give accurate information, but most of our dogs are rescues and do not come with a known history. 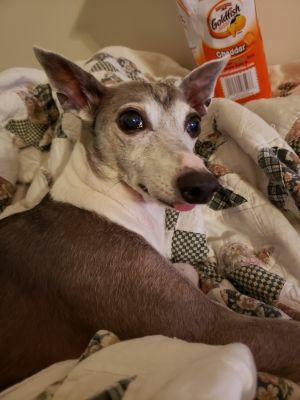 Abbie LooHoo is an appx 12 year old female Italian Greyhound who weighs about 15 lbs. Abbie came to us when her family felt they could no longer handle her anxiety. Abbie has since started Zoloft and is doing fantastic. She still has lots of energy (and can jump right up into your arms when you are standing!) She prefers a home where her humans are around, or she can go with them...being alone is not her gig. She wants to sleep in the bed with you for sure and be your cuddle companion. Abbie is wee pad trained (when needed) and also goes potty outside. Though she can live with other dogs, she prefers to either be an only dog or be with dogs who understand, it's not them....it's her. She simply is more about her humans that she is other dogs...and young dogs that want to party all day and night, they are not her favorite living creatures!!! She is spayed, up to date on shots, current on preventative, and microchipped. Because of her senior status, a portion of her adoption fee has been sponsored and she can be adopted with a suggested donation of $50. All dogs adopted locally through SGDR receive a free six week session of obedience classes and a lifetime of behavior support through our Project REWARD program with trainer Charlotte Blake. You must have an approved application before being able to visit a dog. Visit our website below for an adoption application and answers to your most âFrequently Asked Questions" Question about adopting: http://snootygiggles.com/policies/ Application: http://snootygiggles.com/application/ If you expect to leave the dog alone for long periods of time, please do not consider adopting a puppy. Puppies need lots of attention and companionship. Thanks. All known information about the animal is listed above. We do our best to give accurate information, but most of our dogs are rescues and do not come with a known history. 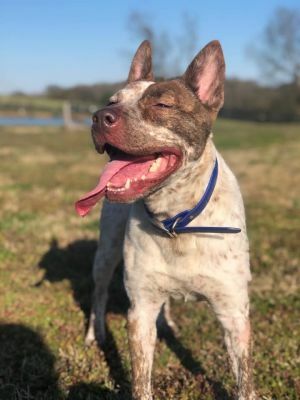 Bindi Tau is an approximately 2-3 year old heeler mix that weighs 40 pounds. Bindi Tau the wonder dog is ready to find her forever home!!! This girl has the courage of warrior and a spirit of survival that can't be matched. But do you know how kind and gentle she is? How eager she is to bond with her human? How forgiving ? How grateful? How easy to love? She is all of that and so much more. She is currently working on her dog skills. She has made some dog friends but still needs some help. At this time Bindi would do best in an active only dog home. Possibly with the right medium/large male dog. Bindi Tau is up to date on shots and preventatives and is micro chipped. Her adoption fee is $185 plus any additional donation you feel appropriate. Our adoption fee is set to a level to make adoptions happen. They do not cover our costs. Thank you for your generosity and interest in our dogs! All dogs adopted locally through SGDR receive a free six week session of obedience classes and a lifetime of behavior support through our Project REWARD program with trainer Charlotte Blake. You must have an approved application before being able to visit a dog. Visit our website below for an adoption application and answers to your most âFrequently Asked Questions" Question about adopting: http://snootygiggles.com/policies/ Application: http://snootygiggles.com/application/ If you expect to leave the dog alone for long periods of time, please do not consider adopting a puppy. Puppies need lots of attention and companionship. Thanks. All known information about the animal is listed above. We do our best to give accurate information, but most of our dogs are rescues and do not come with a known history. 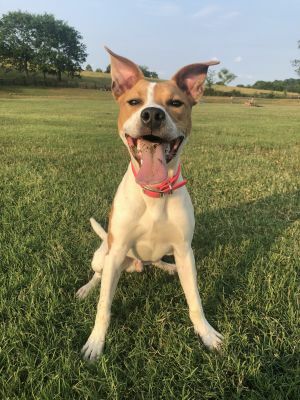 Nimzy Roosevelt is a 1 year old female mix breed who currently weighs about 27 pounds. Nimzy uses a cart, not because she is paralyzed, but because due to a birth defect (she has had extensive surgery), she has spasms in the back legs and a cart enables her to go on walks and get out and about for proper socialization and exercise. She is able to walk and be mobile indoors and on soft surfaces like grass or carpet. Nimzy is an amazing spirit. She loves life, loves playing with her canine friends and is also great with cats. Nimzy needs another playful canine in her home to keep her active and happy. We are happy to answer any questions about her condition and also discuss the possibilities of forever fostering vs. adoption. Nimzy is spayed, up to date on shots, current on preventatives, and microchipped. 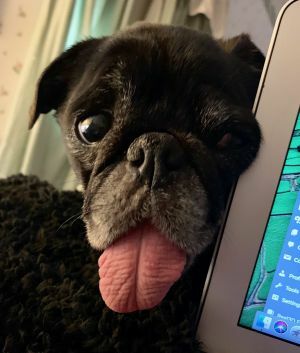 Because of her special needs status, we are also considering forever fosters who are local to our area, who would love Nimzy, but worry about finances and rehab. All dogs adopted locally through SGDR receive a free six week session of obedience classes and a lifetime of behavior support through our Project REWARD program with trainer Charlotte Blake. You must have an approved application before being able to visit a dog. Visit our website below for an adoption application and answers to your most âFrequently Asked Questions" Question about adopting: http://snootygiggles.com/policies/ Application: http://snootygiggles.com/application/ If you expect to leave the dog alone for long periods of time, please do not consider adopting a puppy. Puppies need lots of attention and companionship. Thanks. All known information about the animal is listed above. We do our best to give accurate information, but most of our dogs are rescues and do not come with a known history. 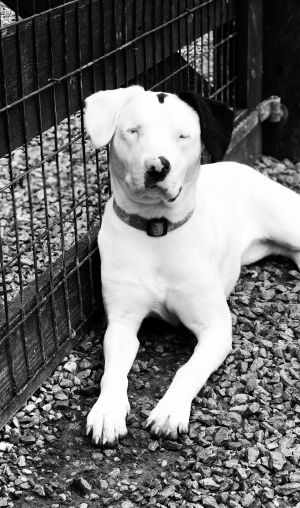 Laurent Racene is an appx 2 year old female mixed breed who currently weighs about 45 lbs and is blind and deaf. Laurent will still your heart with her sweetness and her ability to overcome the odds!!! She is incredibly smart, SOOOOOO loving with both humans and other dogs, and eager to please. She walks beautifully on a leash, rides well in a car, and has learned how to navigate her new spaces quickly!!! She so loves playing with other dogs, we are really hoping to find a forever home that has another playful dog willing to be her buddy!!! She is spayed, up to date on shots, current on preventatives, and microchipped. Because of her special needs, her adoption fee is partially sponsored by our program and she can be adopted for a suggested donation of $50. All dogs adopted locally through SGDR receive a free six week session of obedience classes and a lifetime of behavior support through our Project REWARD program with trainer Charlotte Blake. You must have an approved application before being able to visit a dog. Visit our website below for an adoption application and answers to your most âFrequently Asked Questions" Question about adopting: http://snootygiggles.com/policies/ Application: http://snootygiggles.com/application/ If you expect to leave the dog alone for long periods of time, please do not consider adopting a puppy. Puppies need lots of attention and companionship. Thanks. All known information about the animal is listed above. We do our best to give accurate information, but most of our dogs are rescues and do not come with a known history. Piper Daku is a 2 yr old Husky mix. She is very playful and enjoys playing with other dogs. Piper can be a bit reserved with strangers. Once she gets to know you she is silly and very affectionate. She would do best with a well balanced canine companion(s) to help her confidence. She would do well around older children that can understand and follow given rules which will in turn allow her to open up and not be frightened. Piper has been through Basic Obedience class and loves to work for cookies. She knows her manners, is crate trainer and walks well on leash. She would enjoy having a fenced yard.. and maybe some mud to roll in. haha Piper is up to date on shots and preventatives and is micro chipped. Piper will be adopted with a spay contract due to her size and age. Her adoption fee is $185 plus any additional donation you feel appropriate. Our adoption fee is set to a level to make adoptions happen. They do not cover our costs. Thank you for your generosity and interest in our dogs! All dogs adopted locally through SGDR receive a free six week session of obedience classes and a lifetime of behavior support through our Project REWARD program with trainer Charlotte Blake. You must have an approved application before being able to visit a dog. Visit our website below for an adoption application and answers to your most âFrequently Asked Questions" Question about adopting: http://snootygiggles.com/policies/ Application: http://snootygiggles.com/application/ If you expect to leave the dog alone for long periods of time, please do not consider adopting a puppy. Puppies need lots of attention and companionship. Thanks. All known information about the animal is listed above. We do our best to give accurate information, but most of our dogs are rescues and do not come with a known history.